If you’re anything like this author, you think of getting away at least twice per day. Paris, Vegas, Rome, Milan, Los Angeles or New York, the imagination has no bounds when it comes to travel. With the available technology, there doesn’t have to be limits to your vacay aspirations. Here are 6 online travel resources to help you plan the perfect trip on any budget. Priceline – No matter the destination, Priceline is the perfect travel resource to help you compare prices across multiple airlines, domestic and international. Pinterest – Whether you’re in search of workwear inspiration, nautical wedding decor or your next DIY project, Pinterest has a plethora of pins just for you. The same goes for traveling! Take a moment to do a quick search of your “must-visit” destination and delve into a sea of inspiration. TripAdvisor – For some, it’s important to know before you go. With TripAdvisor, you’re able to get insight into the true thoughts of everyday travelers and locals offering honest reviews of hotels, restaurants and more. Airbnb – There is nothing worse than finding an affordable flight, just to learn that hotel accommodations aren’t as budget-friendly. WithAirbnb, you’re able to set your own budget and actually find quarters that are worth your while. The best part is that it’s safe, and many listings will also suggest cool places to visit. Google Drive – Avoid maxing out your phones or cameras capacity, you don’t want to miss a photo op of the Queen while having to decide which shot of Big Ben to delete. So, be sure to do a daily dump to your Google Drive, your photos and videos will be safe there. Google Translate – Don’t let language be a barrier during your next vacay to a foreign land. With this app you get spoken translations on the spot! Currency Converter – Google Finance – It’s always best to know the worth of your money while on vacation. Use this app to check the current conversion rates, but keep in mind that establishments that convert currency may not offer the same rates and may have additional fees. Traveling is meant to be fun, don’t let your budget or fear of the unknown keep you from jet-setting. 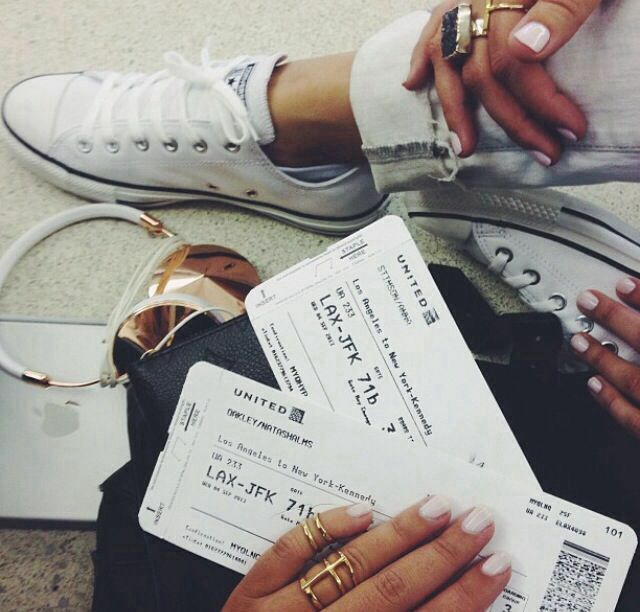 If you’re planning a trip we’d love to hear about it, tweet us with the details at @styleblendmag!